Kicking Off our 101st Year, Our Work is Never Done! 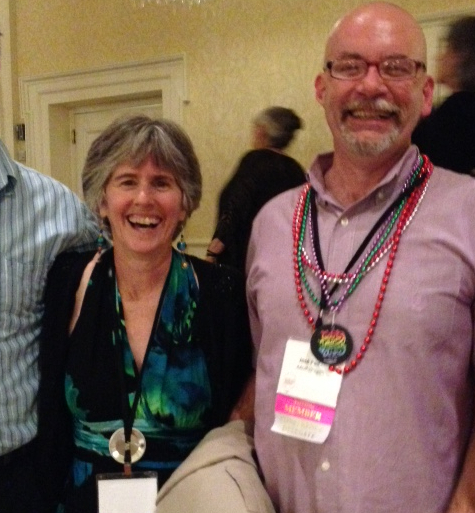 Our American Association of University Professors held its 101st Annual Meeting June 11-14 in Washington, D.C.
What is the AAUP Annual Meeting? The Annual Meeting is a large tent gathering of all key parts of our national movement as a professoriate and academic professionals: a meeting of the AAUP national executive bodies; a meeting of the Collective Bargaining Congress, the umbrella for our AAUP chapters that also function as unions; a meeting of our state conferences, under the aegis of the Association of State Conferences; and a meeting for key committees, like Committee A, on Academic Freedom, to present findings and resolutions; a meeting for the plenum to approve policy, resolutions, and to review the work of our national organization; a rich series of panels, presentations, and papers, on critical topics organized under the aegis of the Conference on the State of Higher Education; and, not least, an opportunity to recognize colleagues for their distinguished service in the defense of the academic profession, academic freedom, and higher education as a democratic public good. Academic freedom only exists in the degree to which we defend it; it requires colleges and universities with strong rights of shared governance for professors and other academics; and, academic freedom and shared governance, in turn, depend on the organization, expertise, commitment, and courage to exercise shared governance and defend them both. Without this configuration, there is no education for the public good. Attacks on academic freedom led to the founding of the AAUP in 1915, and almost every plenary, panel, and business meeting at the 2015 Annual Meeting touched poignantly on contemporary threats to academic freedom. Legislative attacks on tenure and shared governance (e.g., Wisconsin); donor and other political influences corrupting and overriding academic judgment in appointment, promotion, and tenure (e.g., University of Illinois, Urbana-Champaign); private foundations pushing market-oriented educational policies that sacrifice academic values in the name of efficiency (e.g., Lumina foundation); a top administrative stratum at the university increasingly focused on donors, branding, and expanding control over resources, and increasingly distanced from educators and the educational process (a universal trend); continuing growth of a class of academic serfs, professors —now a majority of the professoriate— without the security to defend academic freedom or to exercise autonomous rights of shared governance; tenured professors, now a minority of the professoriate, too often afraid to use their tenure (why? ), or unaware of the need to use it, or perhaps too absorbed with the demand of individual careers, to stand up for academic freedom, shared governance, and education for the public good; standardized, online, “information delivery” systems that create new revenue opportunities by removing autonomous educators from the educational process. Etc, etc. At the 101st Annual Meeting the AAUP we approved a critical resolution denouncing the attacks on tenure and shared governance by the University of Wisconsin system. The plenum voted to censure four universities, most notably the University of Illinois, Urbana-Champaign, for egregious violations of academic freedom and corruption of academic standards. The AAUP, the AAUP Collective Bargaining Congress, the Association of State Conferences — the national umbrellas for the organized effort of our academic class, respectively, for the defense of the profession through advocacy, defense of the profession through collective bargaining, and defense of the profession through state-level coordination of both — renewed their elected leadership, heard from the plenum a sharp message about the priorities they must address, and committed to these priorities. Oregon had a strong representation at the meeting: the President and Executive Directors of PSU-AAUP (Pam Miller and Phil Lesch), United Academics-UO (Michael Dreiling and David Cecil) the Oregon Statewide AAUP (myself and Margaret Butler), and Jacqueline Arante (PSU faculty), an at large delegate to the AAUP national council, and (though technically not just representing Oregon) the newest addition to our movement, Dawn Tefft, the AAUP lead organizer for the Pacific Northwest Region. 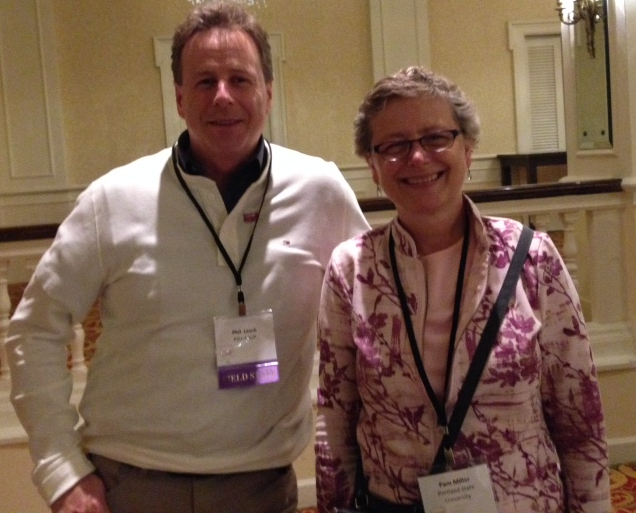 Our work as the Oregon State Conference was recognized by our colleagues nationally in many conversations. The American Association of University Professors is now into its 101st year, and the work in defense of the academic class, and of the ethical values of our profession is never done. And why should it be? Scientific, humanistic, artistic work is never complete, and our collective labor to preserve their freedom is just a necessary extension of that work. SB 113—Higher Education staffing ratios. This bill has been amended and was further amended this week in a committee work session. The first set of amendments set up a task force to determine how to track numbers and salaries of university employees in all employee categories. University administrators spoke out against the required reporting of staffing ratios, complaining that each university has different categories and systems and that it would be administratively burdensome. The higher education union advocates, including AAUP-Oregon, supported the bill, sponsored by Senator Michael Dembrow. This week’s amendments added language from a separate bill which was an AFT priority; the new language sets up another work group to understand tracking of part-time faculty at each institution and recommend legislation to ensure that part-time faculty who teach half-time are eligible for health benefits.The amended bill takes us a step closer to being able to track the growing numbers of administrators and argue forcefully for reallocation of resources to the university’s mission as well as opening the possibility of raising standards for adjuncts. SB 493—loosen accountability for governing boards. This bill amends the law that provided the legal framework for the technical and regional universities to set up governing boards. SB 493 removed the paragraph that allowed the governor to disband the board if the university did not meet Higher Education Coordinating Commission benchmarks. This bill removing such authority passed both houses and this morning was signed by the Governor. We opposed the bill and José submitted testimony. Most of our allies saw this as a housekeeping measure and were neutral. SB 81—“debt free education” or free community college. 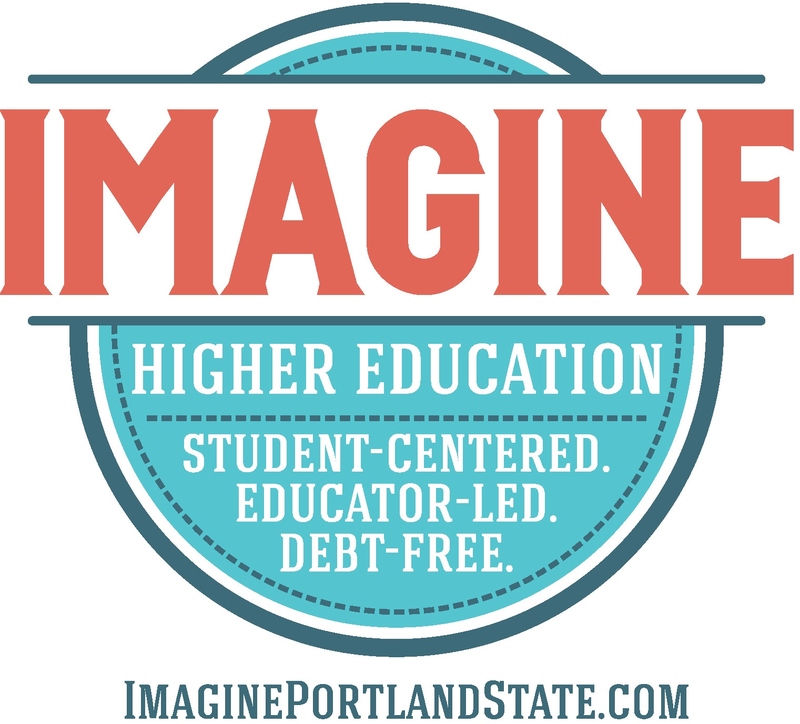 AAUP-Oregon and other allies, including the Oregon Student Association, while supporting the principle of debt-free higher education, believe this proposal needs some critical amendments. AAUP-Oregon testified that any such proposal would have to allow students to use the tuition waiver at any public college or university in the state and would need to have a funding mechanism that did not take money from already allocated education funds. José testified at the Senate hearing and submitted written testimony in the House and to the Ways and Means subcommittee. Many organizations and university administrators spoke out about their concerns at the Ways and Means hearing, which we were not able to attend. We may not know the outcome until the end of the session. HB 2005—paid sick time. We supported this proposal along with many allies. The Senate version, SB 454 passed both houses. HB2007—allow employees to talk about pay rates. We supported this measure. It has now passed both houses and the Governor signed it into law. HB2611—continuation of shared services. We supported this bill extended the law requiring Oregon universities to share certain services: benefits and collective bargaining for the SEIU contract. It passed both houses. The other three bills we were supporting, HB3307– continuing the tuition benefit, HB3281–a tuition freeze and spending restrictions, and HB3237– putting a grad student on the independent boards all did not get work sessions and at this point are dead in committee, as is the student loan insurance bill, SB82. We used this legislative session to start to build relationships with legislators and allies. 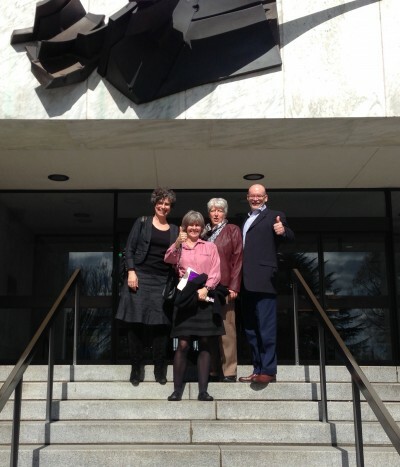 We testified about five measures and met with legislative leaders about measures and funding issues. When we could, we attended the meetings of higher education advocates and worked jointly with them on seeking additional funding. Our next step is to look at hiring a lobbying firm to help us track legislative activity and build our legislative program. Stay tuned for a final report later on. Spring term came to an end and our bargaining with the UO administration is now on a break until July. The economic package is still in dispute with a wide gap between the various proposals. In early June the administration made a small movement toward us with a proposal of a 1% across the board raise (ATB), no merit and no equity in 2016 and no ATB in 2017, 1.5% merit pool (20% of which is at Dean’s discretion) and no equity. A few weeks later United Academics countered with 2% ATB in each year, a joint committee to study equity issues in 2016, with raises from equity pools of 1.25% of salaries for both NTTF and TTF to go into effect 2017. We recognize that equity is a complex issue with some departments having internal equity issues and others with external concerns. The amount of money we proposed for the two merit pools stayed the same in FY16 (1.5%), but increased slightly in FY17 (1.75%). We addressed the salary floors established in our first contract. The raises we won with that contract brought us closer to our comparators but we risk falling behind again as faculty at those institutions received an average of 3.4% raises in the last 2 years. UA brought Howard Bunsis, chair of National AAUP’s Collective Bargaining Congress, to Eugene to analyze the UO budget as we have in the past. He found that that the UO is expecting a $6-7 million surplus this year and provided lots of evidence that the University is on strong financial footing. It is discouraging that there is still such a wide gap between the two sides, but we are hopeful that progress will be made in July. Another sticking point is the issue of non-renewal of NTT faculty. For two years, we have been trying to clarify, regularize, and stabilize the process of renewal for Career NTT faculty. We believe that Career NTT faculty should expect to be renewed if (a) they have successful reviews; (b) there is continued funding for their position; and (c) their work continues to fit within the programmatic need of their department or unit. Regrettably, the administration team refuses to move from its position that the University should be allowed to non-renew Career NTT faculty if it believes it might be able to find someone better—even if the faculty member has been successful in all of his or her reviews; and funding and program issues are not a concern. This continues the heated discussion we had 2 years ago when we won longer contracts for senior positions of NTTF. This seems to be as far as the administration is willing to go. In July a new President will arrive on campus and we are looking forward to continuing all of these discussions under new administrative leadership. At the end of the term UA held elections for new executive council positions and welcomed new people in the positions of executive vice-president, VP for TT Affairs, VPs for NTTF Instructional and Research Affairs, Secretary, Chair of the Diversity & Equity Committee and Chair of the Grievance & Contract Administration Committee. It is exciting that new leadership is stepping in these roles! Also at the UO the Senate held elections and the new Senate VP Elect is Bill Harbaugh, UA treasurer and AAUP-Oregon treasurer. The incoming president, Randy Sullivan (NTTF Chemistry) is a strong supporter of UA and was involved in our original organizing committee. With new leadership at all levels of governance at the UO, next year will be exciting indeed! Our bargaining team will be very busy this summer with 48 hours of interest based bargaining scheduled. Leanne Serbulo, VP of Collective Bargaining, will be posting updates on our campaign website following each session. Our four priorities are: support for professional development; retention and recognition of service, healthy workplace, and fair compensation (see more details here). Bargaining sessions are open to the public, we would love to have you observe.PSU-AAUP is hosting three social events this summer to stretch our imagination….these events include ice cream, beer, and BBQ. Everyone is welcome. It has been a busy year for PSU-AAUP. We have had many task forces working on important topics such as a family leave bank, academic quality, and job security for our non-tenure track faculty. As we bargain this summer, we hope to incorporate the work that these groups have brought forward as well as tackle the reduced pay for teaching during summer session. 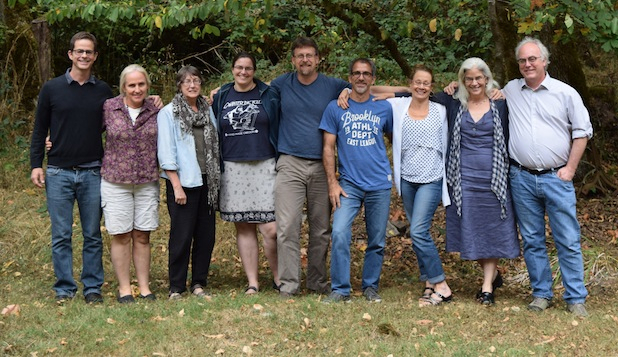 Our Bargaining Team has also already been bargaining about the new PSU-OHSU School of Public Health that our Faculty Senate recently approved. The rights of our members must be protected as this new school gets underway. On June 11th, the Portland State Board of Trustees made their final decision in arming the campus security officers. With much dismay from the students and faculty members, the Board voted to deploy armed police offices on campus. The Trustees also approved a new contract for President Wim Wiewel with the option for Wiewel to take a one-year sabbatical at full pay and return at 0.5 FTE the following year. PSU-AAUP members raised concerns over lack of parity with other tenured professors, who, if granted a one-year sabbatical, are paid at 60% of their regular salary and must return full-time the following year. PSU-AAUP will keep working with our allies on strategies for holding the Board accountable to students and workers. Take care all and thanks for all you do. See you in July! Share the post "AAUP-Oregon News June 2015"